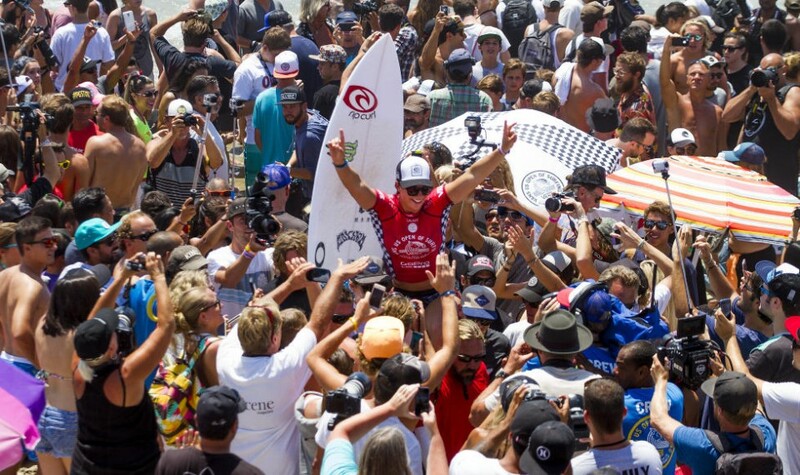 8/4/14: Australian Tyler Wright took the win yesterday over Stephanie Gilmore at the 2014 Women’s US Open of Surfing. Riding her 5’8″ Sub-Scorcher II shaped by …Lost co-founder and shaper Matt “Mayhem” Biolos, Tyler made the most of the typical summer conditions in HB, letting loose on the outside and connecting through the dreaded “flat spot” to finish off her rides on the inside shorebreak. Unlike the men’s event this was a WCT rated contest for the women and Tyler now sits 3rd overall with 4 events left to go. Another standout was Malia Manuel, who marched into the semi-finals on a Mayhem shaped board. In the men’s event Adam Melling finished equal 3rd on a board shaped by Biolos. Check the final below and all the photos from the event.